← If students ran Teacher Training…. 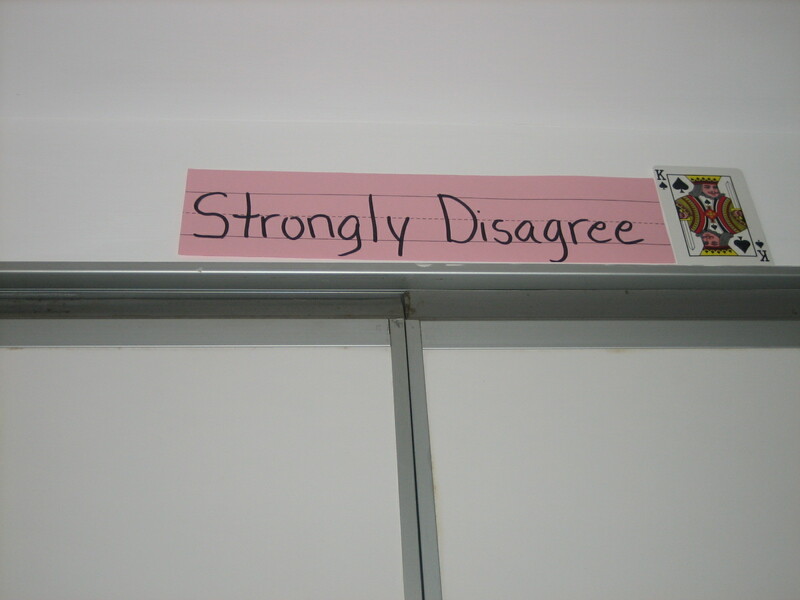 At the beginning of the school year, I put up four signs on the four walls of the classroom. During the first few weeks, I use these as ice breakers while we get to know each other. I ask the students to stand in the middle of the room and then I make a statement like “Working in groups is better than working by myself on a project”. 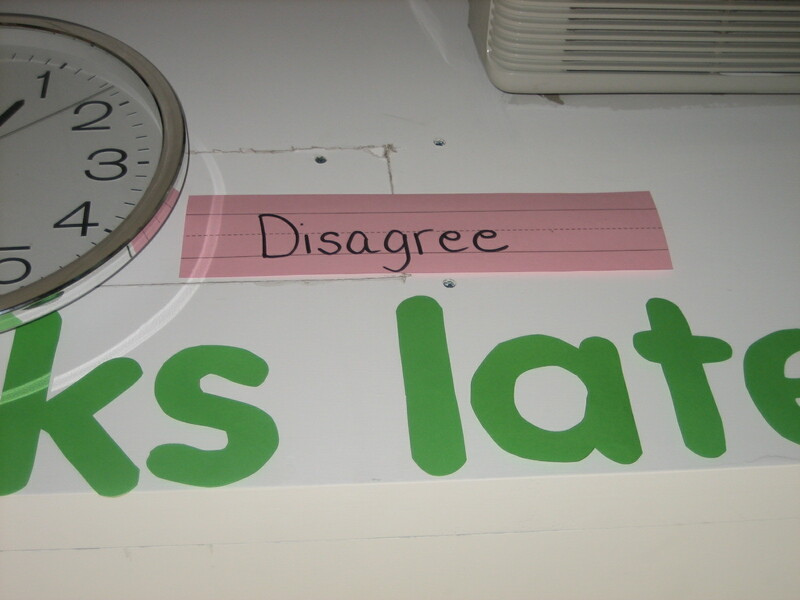 The students then go to the wall that best matches their opinion. I learn a lot about my new students this way. 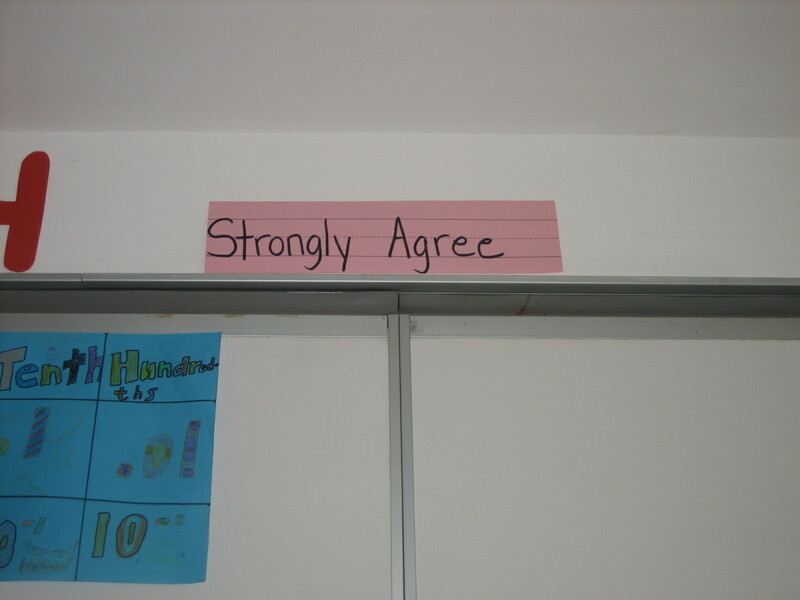 Throughout the year, I use the walls as a form of formative assessment. Again, the students, who love this by now, are in the middle of the room waiting for a statement. I may exclaim something like “A solid can change into a liquid and then a gas” before we begin a unit of inquiry on matter. I observe as the students talk amongst each other to decide where to go, while others either shoot directly to one wall or wait patiently in the middle to listen to other opinions. Lastly, I use the walls towards the end of the year while working on persuasive writing, which I usually begin with a class debate. This year I made the statement, “Wind energy is more effective than nuclear energy”. The students were very split and even used current events in their reasoning. 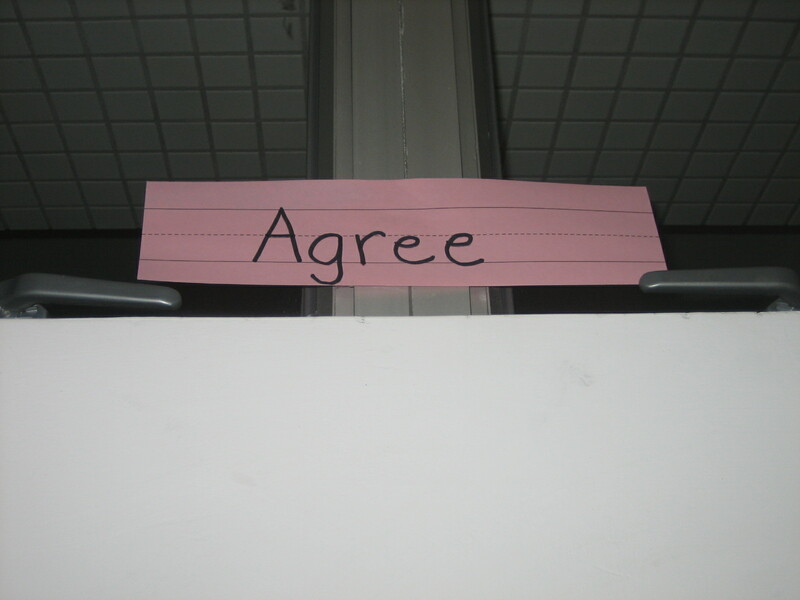 While this is a simple, old idea, it holds great value in the classroom. I think we need to remember these types of tools, especially as they allow students to move, communicate, and share their prior knowledge. This entry was posted in assessment, unit of inquiry, writing and tagged assessment, debate, fun, persuasive writing, prior knowledge, student interest. Bookmark the permalink.